Free Ice Skating at DIA This Holiday Season! Talk about a great way to spend some time with the family this holiday season! Now through January 1, 2017 enjoy ice skating at DIA. Free and open daily 9am to 9pm. Complimentary skates available. What’s not to love! 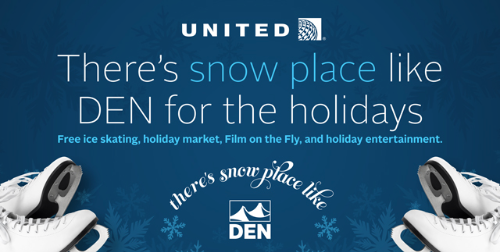 Get to DIA early for your holiday travels and spend some time ice skating. The kids might be psyched to head to the airport to pick up guests knowing they will get to skate. Boulder Family Deals: Fun [and inexpensive] activities for families! Hey Boulder Families, there are a few great local deals floating around right now that I think you might enjoy. If you know of other great deals for families in the Boulder area please pass them along! Childish Things: $10 for a $20 credit. SaveLocal Deal. You can only buy through 1/28. Good into April. Morning Glory Farm: $19 for a $40 credit [must be table of 4 or more]. This one is selling out. Check out the gluten-free, vegetarian, organic, farm fresh options they offer. Boulder & Lafayette locations. Boulder Ski Deals: $25 or $50 credit. If you like to ski or get outdoors this place had it all. They don’t usually offer deals either. Ice Skating at Evergreen Lake for 2: $12. If there is any ice left on Evergreen Lake this is a super fun family outing! 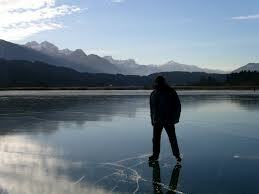 You get to skate on a natural lake in the most beautiful setting!